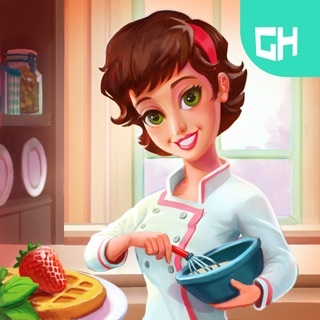 Do you love cooking games and the feverish kitchen fun that comes along with them? Well, your majesty, your cooking kingdom awaits! The story starts out with you as a broke girl managing a burger shop... and the excitement quickly builds from there Managing a restaurant can be a challenging job for any restaurateur or super chef. 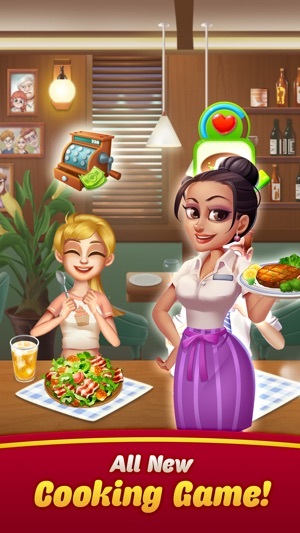 This time management adventure plays out the challenges of restaurant management with delicious fun and exciting cooking game play. 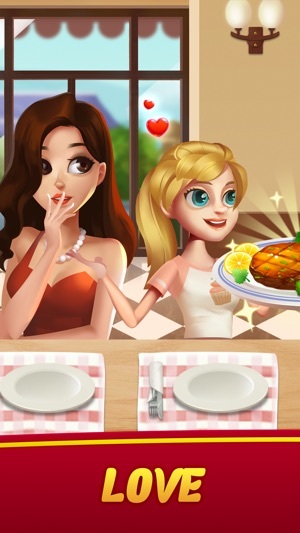 There are tons of restaurant simulation games out there, but which one is the best by far? “Cooking Queen” of course! Play wherever and whenever you want! None of the cooking games could beat it! 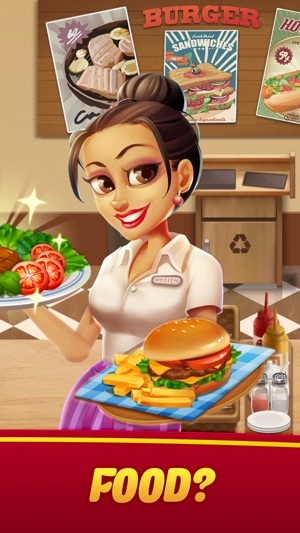 It is the most addictive action packed restaurant management game! You'll be able to cook the most delicious and popular meals around, all done in the world's most luxurious and top-grade kitchen. You can even serve customers personally, and if you're lucky you might even run into a few celebrity patrons! Want to build your own long-lasting and successful brand, all from scratch? Come play “Cooking Queen” and don't forget to bring your friends! Compete with them on your quest to be the best Master chef! Share your score on Facebook and compete with friends on our leaderboard.This cooking simulation game delivers fast paced, addicting cooking fever that is optimized for playing on the go. 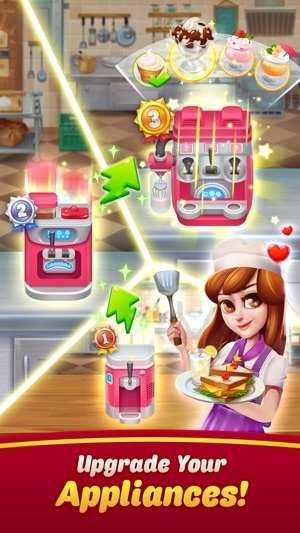 Showcase your chef’s skills, restaurant management and be the super chef in the crazy kitchen scramble game. Run your own fast food restaurant chain with the best food, perfect time management, and service. The kitchen story doesn’t end here. Upgrade your kitchen appliances to cook quick and fast. Decorate your restaurant with awesome upgrades to keep the interiors cool and fun for your customers. Start your venture & build your restaurant empire. Cook deliciously meals for your royal customers! Start the cooking adventures, super chefs! ■ An addictive and unique gameplay, unlike any cooking game you’ve ever played! ■ A variety of delicious ingredients and recipes to try! 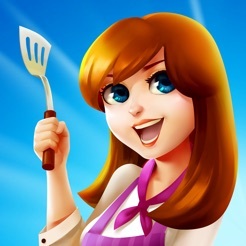 Grow your restaurant empire and be a super chef in “Cooking Queen”. 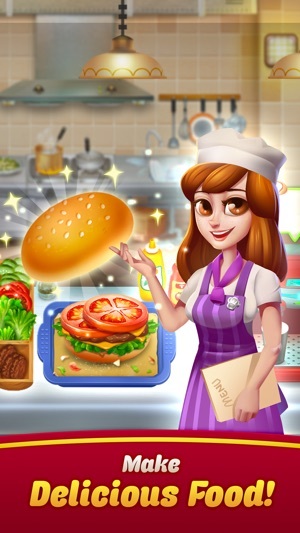 An exciting game with a unique combination of cooking, serving food and time management. 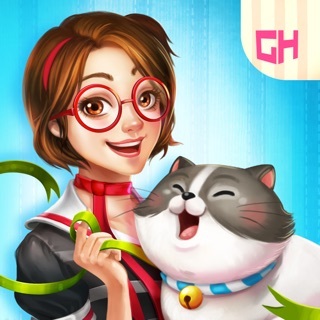 Download this awesome time management game today for free! I understand that free games are based on revenue from ads and I have no problem with that, sometimes I don’t even mind watching extra videos to make sure that developers get paid. It’s also a great way to keep progressing without pay. This game however is set up so that you never have enough resources to play for more than five minutes at a time, and then you are locked in a constant loop of watching ads in order to play the game. So much so that you watch more ads than actual play time. It’s sad because the game is not bad, Despite the fact that there is no break in the action or division between rounds so that the player can take a break. Literally about 5 min. of ad watching for 2 min. playtime. Thanks for your feedback. We'll try to add some more ways to get free gems in the game. Please stay tuned. The new update makes playing ten times more enjoyable. That’s coming from someone who reached level 30 before the changes (took forever) I’ve barely put the game down since I updated whereas before I’d have to wait hours and hours. Thanks for listening to our feedback!